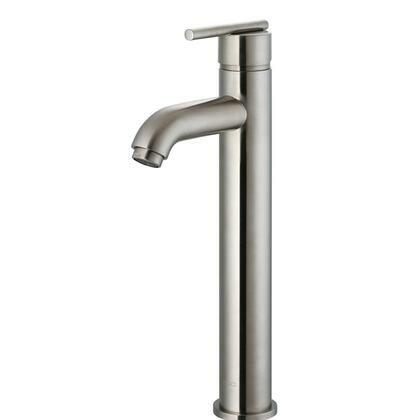 This faucet is very nice and will work well with our new vessel sink. I love the sink and faucet and it looks great on the black granity top and gray vanity that I bought to put it on. 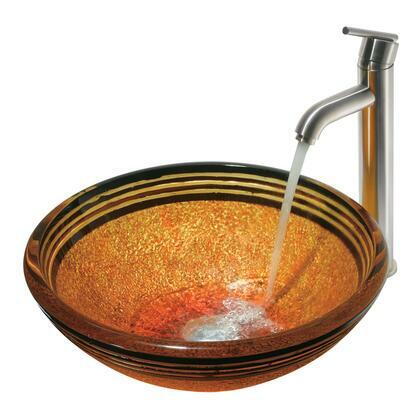 Purchased vessel sink for upgrade vanity top in my guest bath. It is lovely and all seem to be very impressed. Beautiful product.....exactly like the picture. Love it. Just installed and looks great. Easy installation. I bought this a week ago. I am installing on a custom made vanity. Very good choice. Was not able to see it in the store, but better than what we seen on display at Menards. Quality and Beauty outstanding. I have received lots of compliments on this sink. The stone sink is naturally gorgeous and the faucet pairs so well with it. I knew I wanted a statement piece for my main floor powder room but was nervous about water splashing outside the sink and damaging my custom made vanity. Well my concerns were unfounded as the water stays in the sink and the faucet really doesn't splash. I'm glad I went with a square sink for something different. I foresee a lot of compliments from our guests! I love it so stylish And it fit our vessel sink perfectly.